Trade rumors continue to swirl and Friday was no different as stocks were able to shake off early losses, despite the beat down we saw in Nvidia (NASDAQ:NVDA). We’ll lead off with Nvidia as our first pick on top stock trades list. Nvidia missed on earnings and came up way short on revenue expectations for next quarter. The Street did not take kindly to the stock, beating it down almost 20% in Friday’s session. Shares are now down almost 45% in about six weeks. Brave souls may be wading into the water Friday afternoon, but unless you’re a long-term holder I’d give NVDA a few more days. The analysts are going to turn on this long-time winner with their barrage of negativity over the coming days and weeks. Maybe we see some support near $150 or maybe Friday’s current lows will hold. Let’s give it a few days and see. I mainly want to see how Nvidia handles the $150 and $170 levels to determine what’s next. 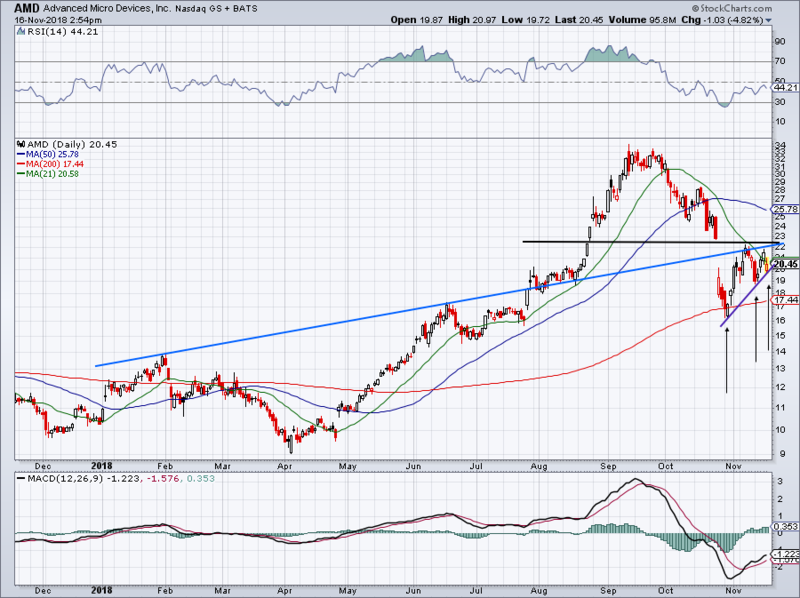 Caught up in the selling of Nvidia, Advanced Micro Devices (NASDAQ:AMD) also felt the heat. However, the company already reported its disappointing quarter and continues to work off its now. 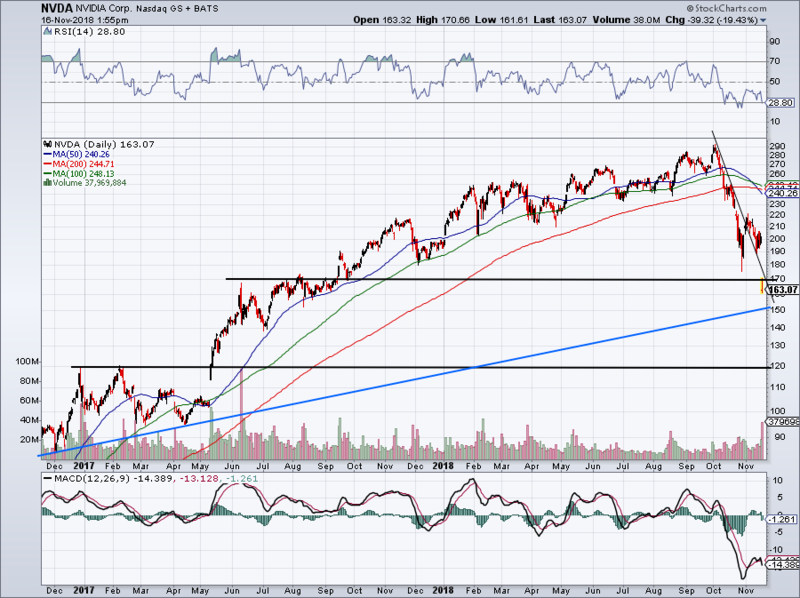 Provided that Friday’s low holds, AMD is putting in a series of higher lows, a bullish sign. I wouldn’t rule out a return to the $22 to $23 area, a 10% to 15% jump. But it’s unclear where it will find support if things go south. 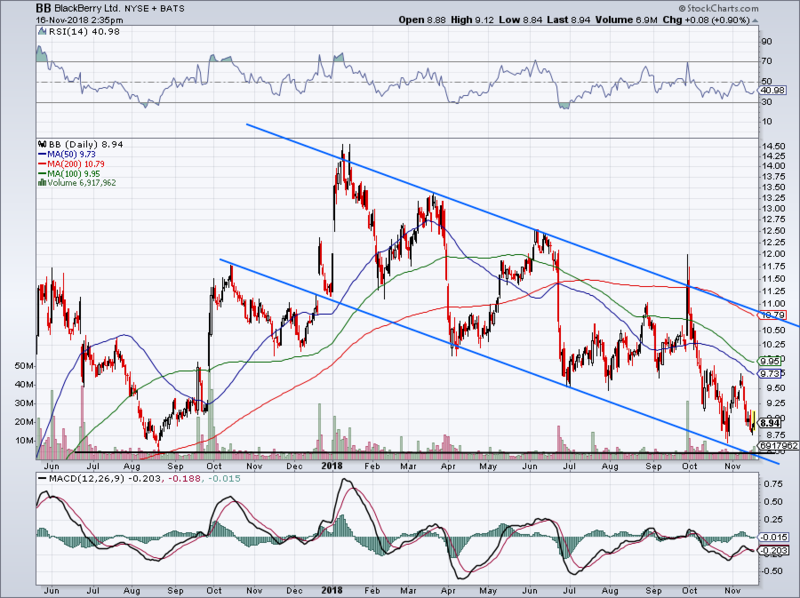 Further, I would feel better if AMD were over its 21-day moving average. That said, traders who want to go long can try a very tight stop loss of $20. They can also consider a smaller position and a wider stop-loss, such at $19. Investors had a good chance at the 200-day moving average. Sonos (NASDAQ:SONO) is well off its session highs, but still caught a 12% boost on Friday after reporting earnings. Keep it simple with Sonos, bulls. Over the $15 IPO price and investors can stay long. 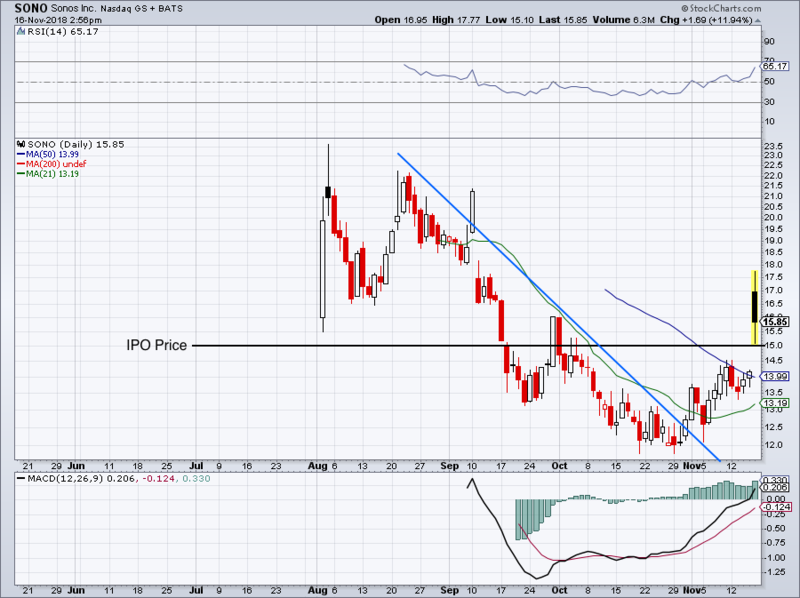 If shares can rally, look for $17.50 first. Below $15 and look for a test of its 21-day or 50-day moving average, whichever comes first. 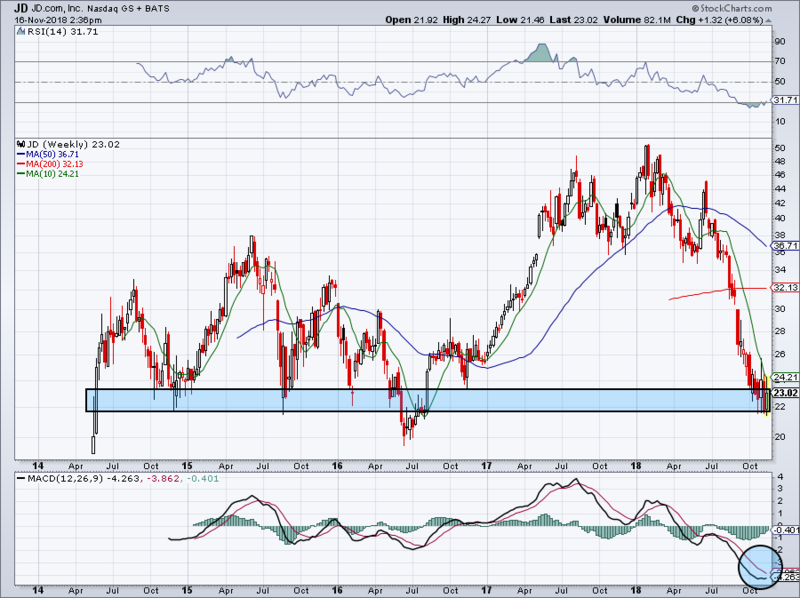 We’ve pointed out this $22 support level for JD.com (NASDAQ:JD) for months now, although the stock is doing its best to frustrate investors. JD needs to close above its 10-week moving average to get any real momentum going. But the truth is, Chinese stocks will likely remain out of a favor until there’s a trade deal between the U.S. and China. Or at least signs there will be one. Given its valuation, though it’s hard to be too bearish on JD. Investors might consider using this week’s low as their stop-loss. Shares rallied after the company announced its $1.4 billion acquisition of Cylance, but it wasn’t enough to give BlackBerry (NYSE:BB) a significant lift. This one remains trapped in an ugly downtrend. If I were long or going long, I would stop out on a close below $8.50. However, a return to the mid-$9 range wouldn’t be surprising, where the 50-day and 100-day moving averages currently reside. These have kept BB stock under pressure, but if it can get above them, channel resistance (blue line) or the 200-day moving average could be on the table, whichever comes first. Preferably, we would get the stock at a cheaper level. Bret Kenwell is the manager and author of Future Blue Chips and is on Twitter @BretKenwell. As of this writing, Bret Kenwell is painfully long NVDA. Article printed from InvestorPlace Media, https://investorplace.com/2018/11/5-top-stock-trades-nvda-amd-bb-jd-sono-earnings/.